Advanced x4 hosting is our premier hosting plan. For resource intensive Web sites that demand exponential amounts of web space and powerful MySQL and Microsoft SQL 2005 database connectivity. All this along with a whopping 7,500GB of monthly data transfer make this our most powerful hosting package. At Best Web Hosting, all our hosting packages have: Windows 2003 Hosting, Money Back Guarantee, 99.9% Uptime Guarantee, Hosting Control Panel, ASP.NET 2.0/1.1 With AJAX, ASP, PHP, Perl Support, Dot Net Nuke 4.5 Support, MySQL & phpMyAdmin, Microsoft SQL 2005, Website Builder, SmarterStats Web Site Statistics, eXtreme Spam and Virus Blocking, One Step Script Installation, and 24/7 Email & Phone Support. Not a problem. We will also provide you with help switching. The Easy Best Web Hosting Control Panel allows you to administer every aspect of your account. Best Web Hosting strives to be on the leading edge of the Web hosting industry through superior technology, competitive pricing, and excellent customer service. Becoming an industry leader through maintaining steady customer and revenue growth, while continuing to provide excellent service, is Best Web Hosting's vision for the future. With thousands of hosting companies to choose from, it's no easy task to pick a company that provides the best service and support. 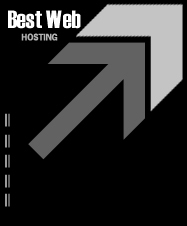 Best Web Hosting is committed to making your web hosting experience the best it can be. Don't take our word for it, see for yourself. Sign up now!